The smartphone has not only irreparably altered our social interactions but also how we view and access healthcare. Dr. Google is instantly available to anyone at any time to diagnose and offer treatment advice for every ache and pain. Our frenetic schedules along with high patient co-pays and astronomic insurance deductibles encourage many to seek cheaper self-help options via the internet-- although it can be a valuable resource, it is important to understand what you can treat yourself and what requires a visit to your doctor. A doctor who regularly sees athletes has the experience and first-hand knowledge to diagnose injuries more accurately, ensure speedy healing and most importantly prevent recurrence. They are more likely for example, to treat a non-fractured ankle with a brace and physical therapy referral rather than to immobilize it in a cast with crutches. A resourceful sports medicine doctor will not order you to stop running when modifications such as lowering miles or adding cross training will suffice. These doctors can prescribe an array of diagnostic tests, such as x-rays, ultrasounds, MRI’s, and bloodwork to discover underlying problems. Pain and swelling in the lower leg can be a tendonitis caused by overuse, poor biomechanics, or ill-fitting shoes. It can also be caused by cholesterol- lowering meds, homeopathic compounds, peripheral venous insufficiency, tendon tears, or blood clots. An undetected blood clot or deep vein thrombosis (DVT) in the leg can migrate into the lungs and brain and be fatal if left untreated. Runners are susceptible to DVT’s post-race due to dehydration, trauma to the legs, and inactivity (driving or flying home after a race). Rather than spending time reading WebMD, runners with leg pain and swelling need prompt medical intervention with a venogram or doppler to quickly identify it and begin life-saving prescription blood thinners. Forefoot pain may be from a local nerve irritation or neuroma, but it may also be a tendonitis, or a metatarsal stress fracture that can be picked up by x-ray. Many runners are more susceptible to stress fractures due to suboptimal nutrition that can be seen in bloodwork or underlying osteopenia or osteoporosis which is diagnosed with a dexascan test. Female distance runners are more at risk after age 35, especially if they over train and do not rest sufficiently between races. Nerve pain in the foot may also resemble neuropathy and an early sign of diabetes. Everyone assumes that heel pain is due to plantar fasciitis; however, the pain could be due to nerve irritation, or possibly a stress fracture or bone cyst. Often it is the adjacent posterior tibial tendon that is the culprit and requires a different treatment approach. Arthritic diseases such as gout commonly cause heel pain as well. As Einstein once famously noted, “information is not knowledge!” The internet should be used as an adjunct not a substitute for an in-person physician assessment. If you have unresolved lower extremity problems, use your computer or smartphone to make an appointment. Then turn your smartphone off (the web says they may cause cancer anyways), look your friends in the eye and engage in live communication. You will feel better, guaranteed. 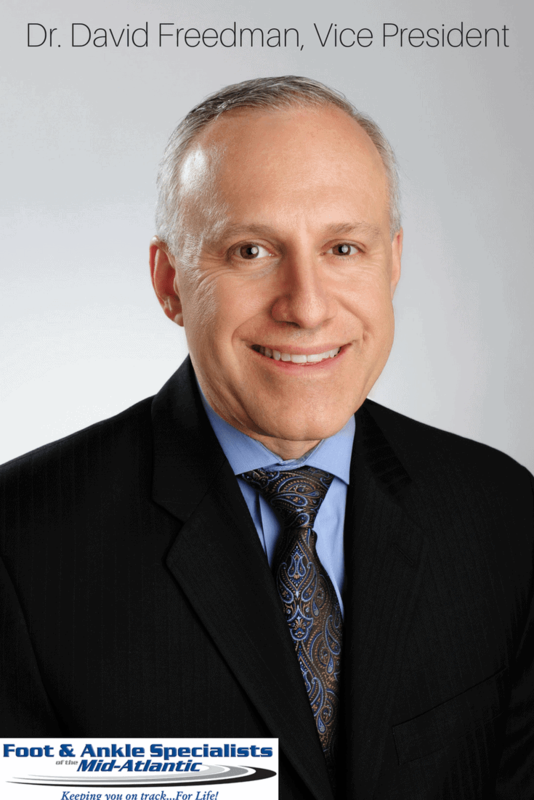 Dr. Adam Spector works in our Rockville, MD (Shady Grove) and Wheaton, MD offices. The information on this site is provided for your assistance only; this site does not provide podiatric advice. You should never diagnose or treat yourself for a podiatric condition based on the information provided herein, and the information is not provided for that purpose. Likewise, you should never determine that treatment is unnecessary based on this information. The information contained herein is not a substitute for podiatric care provided by a licensed podiatric professional. The information provided herein is not podiatric, medical or professional advice. This site does not create a doctor-patient relationship. Dr. Adam Spector and Foot & Ankle Specialists of the Mid-Atlantic, LLC expressly disclaims all warranties of any kind, whether express or implied, related to any products offered for sale on this web site. Dr. Adam Spector and Foot & Ankle Specialists of the Mid-Atlantic, LLC further expressly disclaims any product warranties of effectiveness or fitness for any particular purpose or use. You are solely responsible for your use of, or reliance on, any products offered for sale herein, and any consequences arising out of such use or reliance. In no event will Dr. Adam Spector and Foot & Ankle Specialists of the Mid-Atlantic, LLC be liable for any damages resulting from use of or reliance on any such products, whether based on warranty, contract, tort or any other legal theory. This website, and the information contained herein, is provided to you as a service for use at your sole risk. Diabetes: We Check Your Feet Like No One Else! Diabetes Mellitus (Type 1 and Type 2) is a common condition that afflicts many Americans and is being diagnosed more each year! We see many patients who have very subtle symptoms which can be attributed back to early onset and detection of diabetes. Many patients say, “I have a sock balled up feeling under my foot” or “I have severe burning” or “I have tingling in my toes” or “The pain keeps me up at night”. We have learned that these early symptoms or changes are often not being picked up at our patient's primary physician annual physical. The American Diabetes Association (ADA) publishes in their journal “Diabetes Care” annual standards of medical care which our doctors at Foot and Ankle Specialists of the Mid-Atlantic adhere. Additionally, our doctors go beyond the typical evaluation, we are tracking your hemoglobin A1c’s and classifying our patient’s foot risk category at each visit. We feel patients are sometimes seen more frequently in our offices than their primary care. This in turn, allows us an opportunity to be educators from a different perspective that the patient’s primary care physician does not have, more visits give us a unique opportunity to better determine any sensation or structural changes. A typical issue is the early onset of neuropathy, we routinely diagnose and treat this problem. We know that the quality of care provided to a diabetic can critically affect downstream costs both personally and to the healthcare system as a whole. According to Dr. David J. Freedman, it is apparent that ultimately there are potentially significant complications that go with long standing diabetes. Our priority is to provide the highest quality and most appropriate diabetic foot health care. We have learned that some insurance carriers are not evaluating doctors based on high quality, which we feel is a major mistake, but rather only looking at cost. I want our patients to know while this could hurt our profile with certain payers we are taking the high road to high quality. The insurance company’s often times don’t understand that the cost to provide diabetic patient’s with more frequent visits in the long run will greatly reduce costs to the healthcare system. We are evaluating for potential microvascular complications and rendering appropriate foot care. We know patients with diabetes typically may also be developing kidney disease and eye disease issues. We discuss these issues with our patients when appropriate. We are reminding our patients to get their annual eye exam to be tested for retinopathy. We are evaluating our patients for small fiber nerve changes by testing pinprick or temperature sensation changes. We use a 128-Hz tuning fork to test for vibratory changes and 10-g monofilament test to identify areas at risk for ulceration. Using these testing techniques, we are looking for advancing neuropathy changes which usually indicate large fiber changes when there is numbness and loss of protective sensations. We are evaluating and treating diabetic patients with foot deformities, foot ulcers and ultimately developing ways to prevent future complications on a patient by patient basis. While we can’t eliminate a patient’s advanced vascular changes, we do evaluate for PAD (peripheral arterial disease) and refer our patients to interventional and vascular specialists to assist in establishing better blood flow to our patients feet. This is just another reason why patients with diabetes need to see a doctor with Foot and Ankle Specialists of the Mid-Atlantic, according to Dr. David J. Freedman. We provide the necessary evaluations which is best to detect these early and later changes. We are in a unique position to provide this value added service to our patient’s feet. There is not a day that goes by that a diabetic patient who is at risk, has improper shoes. We agree with the ADA’s recommendation of getting our patients into specialized therapeutic footwear. We provide self-care education to all our patients. We educate our patients that use tobacco products, why they must quit in order to reduce the increasing complications in their feet and legs. If you haven’t made an appointment to get your diabetic evaluation, make an appointment today with a podiatrist near you. Our care team is looking to reduce risks. We are evaluating more closely our patients that have been diagnosed as pre-diabetics as well as looking at BMI. Foot and Ankle Specialists of the Mid-Atlantic feels the reason to be seen by one of our doctors has to do with our ability to determine the risk factors associated with patients developing telltale signs of potential future advancing diabetes potential complications. Our thought process at Foot and Ankle Specialists of the Mid-Atlantic is to intervene earlier in an attempt to prevent the potential complications from the many issues that diabetes throws your way. 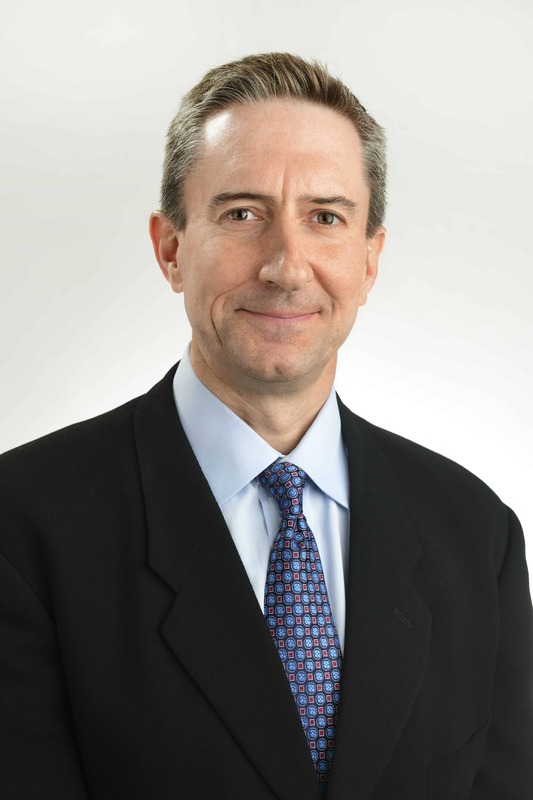 Dr. David J. Freedman works in our Silver Spring, MD (International Dr) office. The information on this site is provided for your assistance only; this site does not provide podiatric advice. You should never diagnose or treat yourself for a podiatric condition based on the information provided herein, and the information is not provided for that purpose. Likewise, you should never determine that treatment is unnecessary based on this information. The information contained herein is not a substitute for podiatric care provided by a licensed podiatric professional. The information provided herein is not podiatric, medical or professional advice. This site does not create a doctor-patient relationship. Dr. David J. Freedman and Foot & Ankle Specialists of the Mid-Atlantic, LLC expressly disclaims all warranties of any kind, whether express or implied, related to any products offered for sale on this web site. Dr. David J. Freedman and Foot & Ankle Specialists of the Mid-Atlantic, LLC further expressly disclaims any product warranties of effectiveness or fitness for any particular purpose or use. You are solely responsible for your use of, or reliance on, any products offered for sale herein, and any consequences arising out of such use or reliance. In no event will Dr. David J. Freedman and Foot & Ankle Specialists of the Mid-Atlantic, LLC be liable for any damages resulting from use of or reliance on any such products, whether based on warranty, contract, tort or any other legal theory. This website, and the information contained herein, is provided to you as a service for use at your sole risk.